David Swensen is a legend in the world of endowment investing. Swensen heads the Yale University endowment – widely considered the leader among all top university endowments. If imitation is the sincerest form of flattery, Yale has flattery in spades. 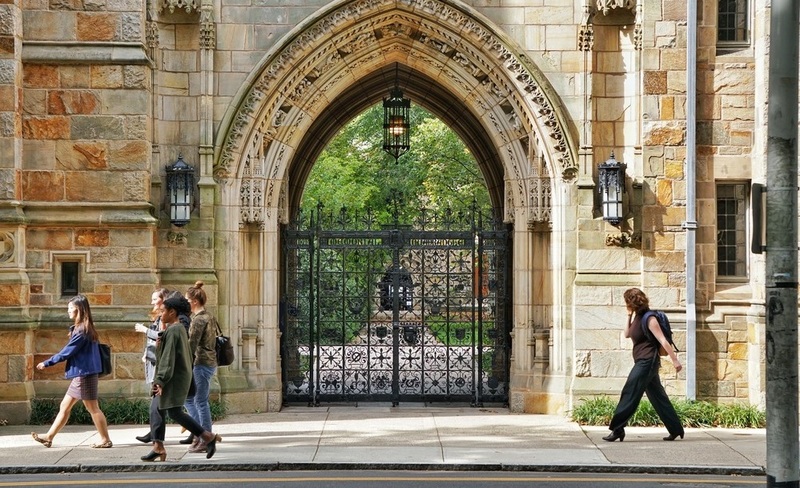 Each of Yale’s academic rivals has adopted the “Yale Model” (also known as the “Endowment Model”) of investing pioneered by Swensen in the 1980s. Moreover, the heads of the Stanford, Princeton, MIT and University of Pennsylvania endowments are each headed by former Swensen deputies. They’re all hoping some of Yale’s magic will rub off on them. You might be wondering whether Yale’s experience is relevant to your own investment portfolio. 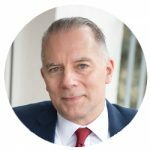 Swensen was the first to apply modern portfolio theory (MPT) to massive multibillion-dollar endowments. Still, it’s clear the decision to invest in specific asset classes matters more than picking the right individual stocks. By investing in a range of asset classes far beyond traditional U.S. stocks and bonds, you can construct a portfolio for higher returns at lower risk. Swensen took this argument for diversification to an extreme. In 1987, nearly 80% of Yale’s endowment was invested in U.S. stocks and bonds. 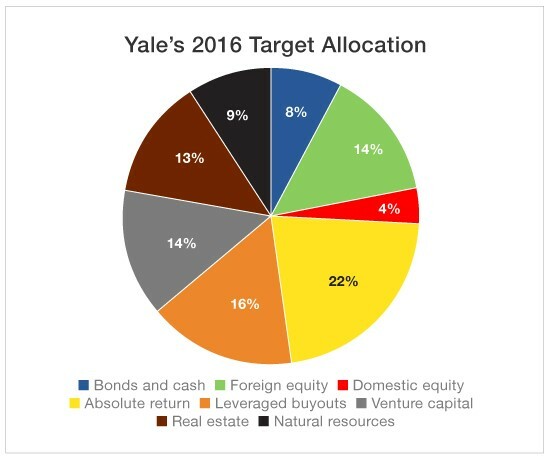 Over the past 30 years, Yale shifted the bulk of its investments into “alternative assets,” including natural resources, venture capital, real estate and foreign stocks. As a result, I bet the Yale endowment today looks very different from your investment portfolio. Until June 2007, it was hard to argue with Yale’s success. During the previous decade, the Yale endowment generated a remarkable annual return of 17.8% percent. On the other hand, between 2007 and 2017, the endowment returned just 6.6% per year. That trailed the S&P 500’s average 7.3% annual return over the same period. Yale would have been better off investing its endowment in a low-cost Vanguard index fund. Is the Yale Model busted? It lagged because Swensen actively bet against U.S. stocks. Swensen’s negative view of U.S. stocks isn’t a recent one. It went from 80% in 1987 to 22% in 1995. By 2005, it had dropped to 14%. Since 2014, only 4% of Yale’s endowment has been invested in U.S. stocks. That means a whopping 96% of Yale’s endowment is invested in assets other than U.S. stocks. Swensen’s bet against U.S. stocks over the past decade proved to be a big mistake. That’s because the U.S. stock market was among the top-performing stock markets in the world during that period. Swensen’s reluctance to invest in U.S. stocks doesn’t surprise me. And as I’ve previously written, Shiller has been warning for a long time that U.S. stocks are overvalued. Shiller does not sit on the investment committee of the Yale endowment. But there’s little doubt Shiller’s view of the U.S. stock market influenced Swensen. I have two takeaways for you today. First, Yale’s low allocation in U.S. stocks over the past decade is an embarrassing misstep, one that may have cost the university billions in lost profits. Second, this misstep doesn’t mean that Swensen won’t be right… one day. Remember that even the best investment minds on the planet can’t time the market. I have long-term core holdings in the U.S. stock market that I don’t ever intend to sell. And they constitute a big chunk of my net worth. Yes, it is tempting to time the market.